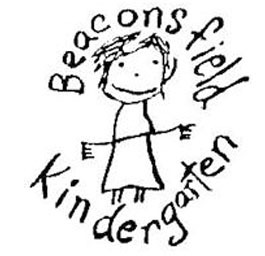 At Beaconsfield Kindergarten we provide a child and family centred practice that strives to create an environment which assists all members of the Kindergarten community to experience physical, mental, emotional and social wellbeing. We endeavour to provide a welcoming, caring, inclusive and supportive environment to all children and their families. Beaconsfield Kindergarten encourages and promotes diversity, fairness and respect for everyone, and acknowledges that Aboriginal and Torres Strait Islander peoples are Australia’s first peoples. We embrace and support children of all skills, abilities and cultures; acknowledging children’s personal, family and cultural histories shape their learning for development. We view the whole child as an active citizen, capable of learning and contributing to their world. Our program is based on the significance of play. Play is an important medium in children’s learning. It helps children to make sense of their lives and wider world and supports children’s creativity, self-expression, problem solving skills, language development, concentration and independence. We offer an educational program, both indoors and outdoors, which includes routines and is organised in ways that maximise opportunities for each child’s learning. We promote each child’s agency, enabling them to make choices and decisions. Educators believe in the importance of modelling appropriate behaviours and guiding children where necessary, as they assume responsibility for their choices and develop respect for their communities and environment. We believe every child has a fundamental right to high quality education and care. Both the national curriculum, “Belonging Being Becoming-The Early Years Learning Framework” (EYLF) and the Victorian curriculum frameworks “Victorian Early Years Learning & Development Framework” (VEYLDF) are integral to our program. To enable each child to reach their full potential an ongoing cycle of planning, documenting and evaluating informs our program. Educators respond to children’s ideas and play, and use intentional teaching to scaffold and extend each child’s learning, which is recorded in individual learning plans. We recognise and support the varied learning styles of individual children. Educators draw upon a range of theories about early childhood to inform their professional practice. Reflective practice maximises opportunities for children to grow both as individuals and as a group. We strive to develop positive and respectful partnerships with parents and families through welcoming parent participation and contribution into our program, as well as collaboration between staff and families related to family values and goals for children’s learning. We encourage open communication to support and monitor children’s achievements and progress. The Code of Ethics 2006 (Early Childhood Australia) is embedded in our practice and informs our relationships with the children, families and each other. Our staff are dedicated Early Childhood Professionals who work together to create a supportive and positive kindergarten environment. Each staff member is recognised for their skills and ideas that they contribute to our kindergarten and wider community. The kindergarten promotes professional enquiry and development which supports best practice. Educators collaborate with other organisations and service providers to enhance children’s learning and wellbeing. We feel that the kindergarten year is a very special time in a child’s life. At Beaconsfield Kindergarten we offer children and their families a rich and rewarding pre-school experience based on the beliefs and principles outlined above. We pride ourselves on working together with our community to establish strong foundations for children’s lifelong learning and for them to feel safe, valued and proud of their efforts and achievements.